The joy of having these four children in my arms is indescribable. Simply incalculable! And that joy is multiplied by the delight they take in one another. Thanks be to God for these immeasurable blessings! Four beautiful rubies! You are truly blessed beyond compare. God is good! Such precious miracles! It’s neat to see them all in a row holding Simeon with their individual personalities. Asher looks different now than he did earlier this year, it seems. 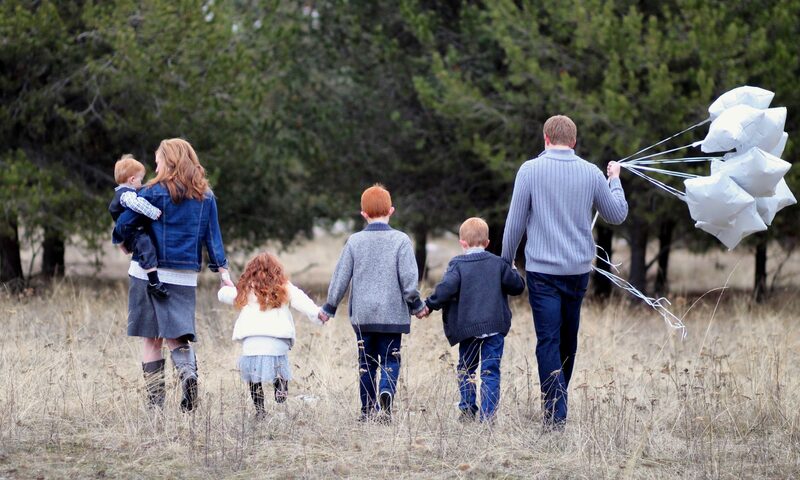 Gosh, your kids are cute little gingers! I love the picture of the three looking down at their new brother. So thankful that you get to watch and help these 4 grow up together. Oh Melissa, my heart feels so full for you. Your four children are beautiful. I love the picture of the three older ones gazing at their baby brother… Simply adorable. Congrats, my friend, God is so good! This made me heart sing for you. Love you, dear friend. These photos are so precious and beautiful!! I have the photo Christmas card you sent me, with some of these pics on there, and every time I see it I rejoice with you!!! What precious miracles!! !